Our Sexual Harassment Prevention Training, which incorporates Abusive Conduct-Bullying Prevention, Gender Identity/Expression and Sexual Orientation Harassment Prevention Training, can be customized with specific information relevant to your company’s needs. For supervisors, managers, officers, and human resources personnel who have busy or traveling schedules, our user friendly 2 Hour online Sexual Harassment Prevention Training, which incorporates Abusive Conduct-Bullying Prevention, Gender Identity/Expression and Sexual Orientation Harassment Prevention, makes Sexual Harassment Prevention simple. Employers are now mandated to provide one hour training bi-annually to their non-supervisory employees [SB 1343]. In our 1 hour employee training, participants will be shown what constitutes Sexual Harassment and what types of misconduct will not be tolerated in the workplace. Our Online supervisory and non-supervisory Interactive Training content consists of a slide show featuring cartoon and human characters demonstrating examples of Sexual Harassment, Gender Discrimination, Workplace Issues Related to Pregnancy, Abusive Conduct-Bullying behavior, Gender Identity/Expression and Sexual Orientation Harassment. Additional information on Investigation of Sexual Harassment Complaints, Misconduct Reporting for Supervisors and Managers, Employer Preventative & Remedial Action to Avoid Sexual Harassment, and Employer Liability for Sexual Harassment is included in our Supervisory 2 hour training. Best Online Economic Pricing Starting at $7 per Participant /Why Pay More? Our $7 per participant pricing makes our 1 Hour Online Employee Sexual Harassment Prevention Training one of the best economic values in the United States. Our $14 per participant pricing makes our 2 Hour Online Supervisory Sexual Harassment Prevention Training also one of the best economic values in the United States. Unlike most online training programs, our online training has Audio. Yes, High Quality Audio so participants can listen and learn without the need to read slide after slide of boring/legalese text. Upon completion of our training, an elegant Certificate of Completion can be printed by the training participant. 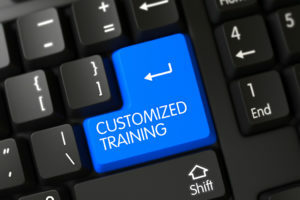 Once developed, customized Online Interactive Training is fully automated and can be ordered and used 24/7. All that is needed is an internet connection. For additional information on our training, feel free to call or email us anytime.